My experiments with gluten free baking have been continuing for weeks. It is not as challenging as I would have thought, though, the hardest part is consistency of results. Using yeast has always been a tough one for me. I don’t understand it very well, and I find that the need for exacting measurements and temperatures can make it hard for me to succeed. I’m finding, though, that with a little patience and persistence, even gluten free baked goods with yeast are worthwhile. After the pizza, I moved on to sweets. I love brownies and my husband made some wheat based brownies that smelled delicious. So, I pulled out my gluten free flours and had a stab at it myself. I started with a recipe I found online. It used a base of coconut flour, which, to my taste, was too strong. The coconut flavor overruled the brownie taste and I found that disappointing. Next time around, I decided to replace the coconut flour with mochiko – sweet rice flour. I had a bunch in my cupboard from experimenting last summer with making ice cream mochi. In addition, I had some leftover silken tofu in the frig, and I know that makes a lovely pudding style topping. 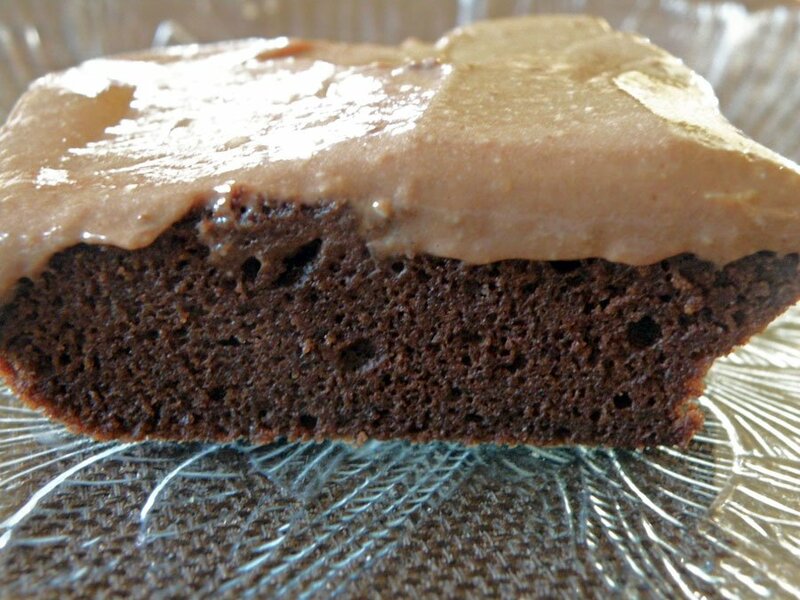 The brownies are moist, a tiny bit cakey, and quite a deep chocolate flavor. I’m quite pleased with the result. 1. Preheat oven to 350ᵒ. 2. Melt butter and stir in cocoa powder. Set aside. 3. Beat eggs, maple syrup, salt, baking powder, water and vanilla. 4. 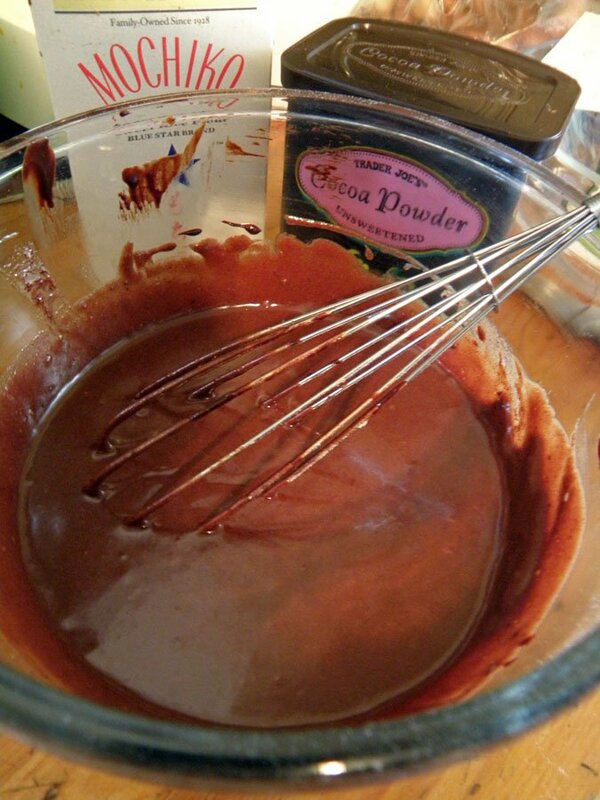 Add melted butter/ cocoa mix. 5. Add flour and whisk until smooth. 6. Spread evenly into an oiled 8×8” pan. 7. 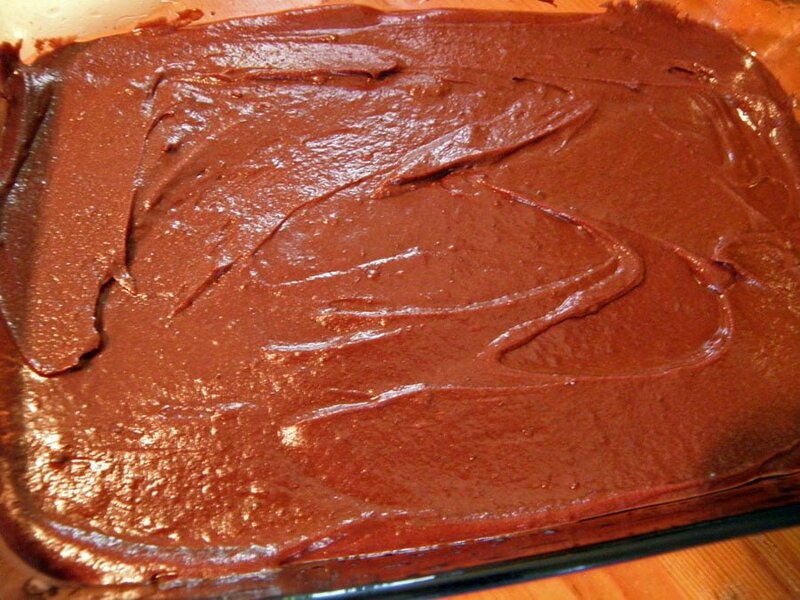 Bake for 20 – 30 minutes. Cool. 8. Prepare pudding by putting all ingredients, except chocolate in a mixing bowl. 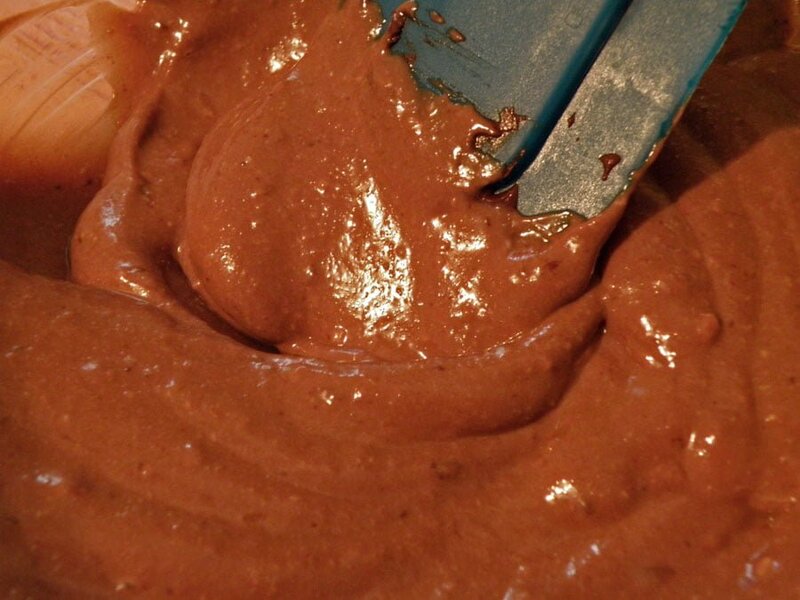 Blend thoroughly with a hand blender until silky smooth. 9. Meanwhile, melt chocolate in a double boiler. Stir melted chocolate into tofu blend and mix thoroughly. 10. Spread evenly onto cooled brownies. The brownie success led me to “graham” crackers. 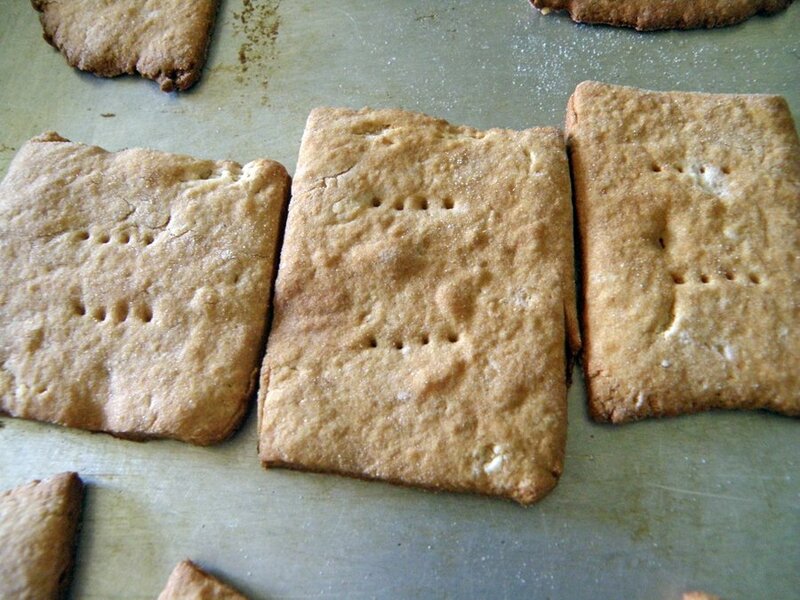 I’ve been making real graham crackers for my pies and they are simply delicious. The gluten free pie crusts I make are good, but not the same style as a graham cracker crust. So, I thought, there’s got to be a way to get a similar quality with gluten free flours. And I succeeded! The secret is to use a little almond flour to get the texture of the graham flour. Now, I can offer a gluten free “graham” cracker crust for my pies. Another cracker that I like to make at home on occasion is one I found in the New Farm Cookbook, an old whole foods style cookbook from the ’70’s. There’s a Cheezy Cracker recipe that gets its cheesy flavor from nutritional yeast and they’re quite addictive! I didn’t think to take any pictures of these when I made the gluten free version, but I’ll have you know, that my family loved them so much I had to practically fight them off to get my share! On the savory gluten free journey, I discovered that I could also make pasta. This seemed like a daunting task that actually was quite simple. I found a recipe online again and made a few minor changes to the flour mix. 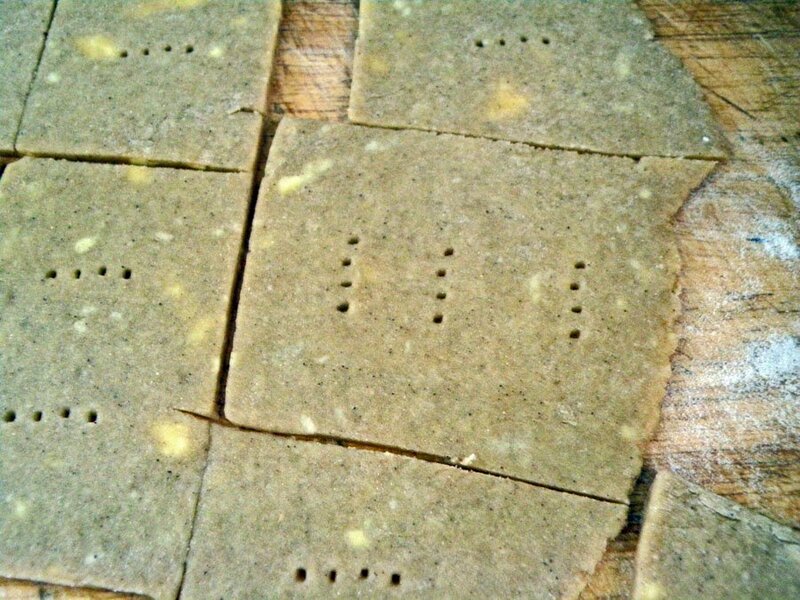 A lot of these recipes use large amount of tapioca flour which doesn’t sit well in my stomach. It also ends up being too much like white bread, so I adjust the recipes to include other flours like teff, brown rice, millet or sorghum for a heartier flavor. 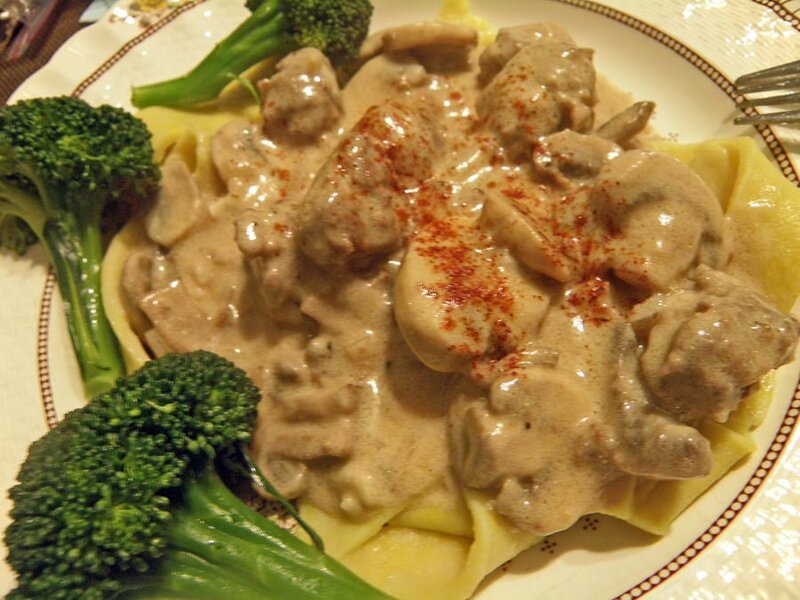 I didn’t roll the dough out thinly enough on the first try, but the flavor was good and made for a delicious meal with Sausage Beef Stroganoff Sauce with Gluten Free Egg Pasta. A side of steamed broccoli made it a perfect meal. 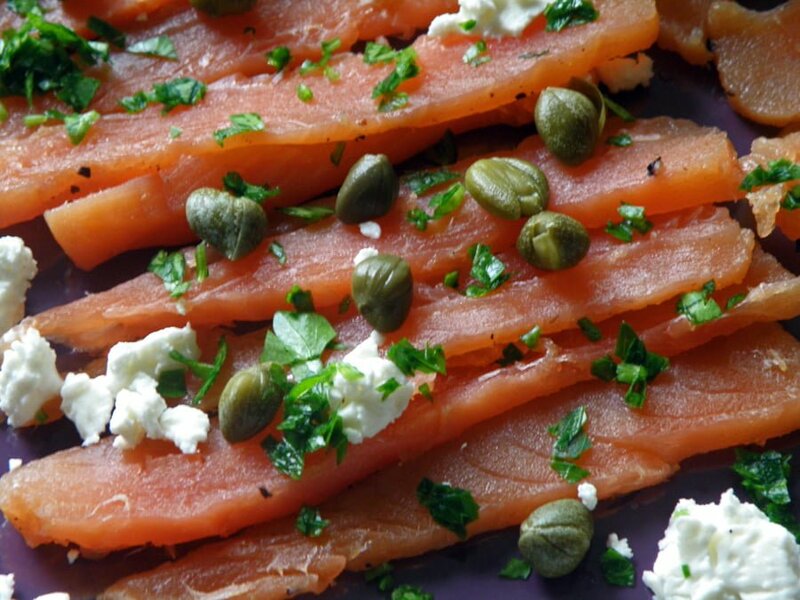 I’ve been making a melt in your mouth marinated salmon (gravlox). I love to have lox on bagels with cream cheese and tomatoes or blended into a spread. I make my own spread and enjoy it with rice crackers and salad for a healthy lunch, but really miss having bagels. 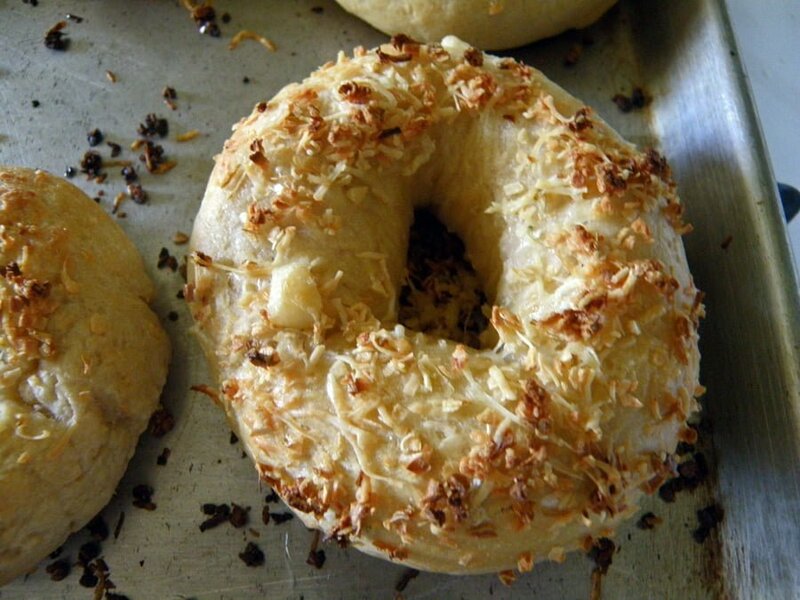 So, I decided to have a go at making gluten free bagels. 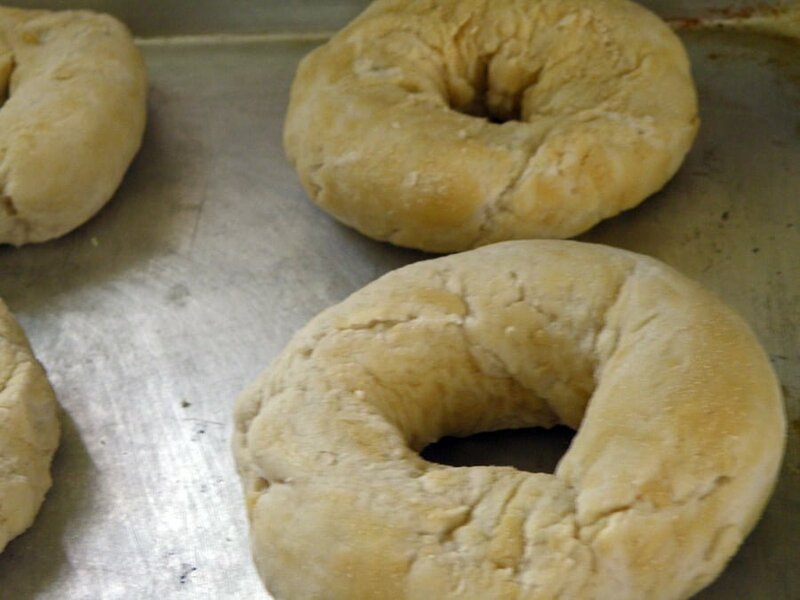 As before, I had trouble with the yeast activating properly, so these bagels didn’t turn out that well. They look pretty good, but instead of being a little fluffy with their chewiness, they turned out heavy and dense. That is because the yeast didn’t do it’s thing. They are edible, and even better with the lox spread. Next time I will use a different mix of flours so they have a heartier quality. I may combine the two online recipes I have to get the best effect.